The Chinese New Year, or Spring Festival as it’s been called since the 20th century, remains the most important social and economic holiday in China. Originally tied to the lunar-solar Chinese calendar, the holiday was a time to honor household and heavenly deities as well as ancestors. It was also a time to bring family together for feasting. Several CT restaurants will be hosting special celebrations. Ring in The Year of the Dog at these local spots. Chinese New Year officially begins on February 16th, and ends on March 2nd. HAN Restaurant in Hartford, CT and SHU Restaurants invite the public to come celebrate Chinese New Year with Traditional Szechuan Kongfu Tea Performance and a Szechuan Opera Face Mask-Changing Performance. Enjoy special dishes such as Wanxiang grilled fish, steamed whole fish, and tea smoked duck, along with classic hot pot at Han. Reservations: 203-255-6888 (Fairfield); 860-519-1740 (West Hartford); 860-216-5726 (Hartford.). Forbidden City Bistro, 335 Main St., Middletown, will be offering a special Chinese New Year menu starting February 13th with dishes like soy-lacquered flatiron steak with baked vegetable rice; spice-rubbed monkfish with congee and ramen with seafood in a Nyonya curry broth. The restaurant also hosts a Chinese New Year Sake and Wine Dinner Feb. 69 at 6:30 p.m.; cost is $100. 860-343-8288. Lao Sze Chuan in Milford and Gingko in Fairfield will be serving their regular menu including traditional Chinese New Year dishes. 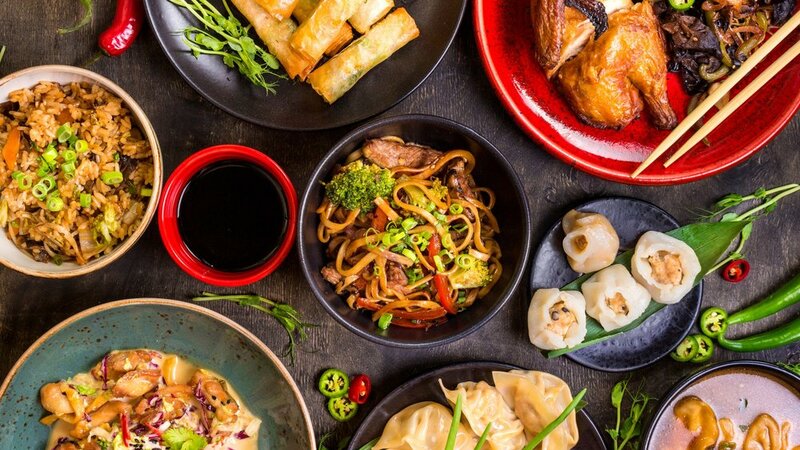 Great Wall Restaurant in New Haven has not announced a New Year's menu but will be serving regional Chinese fare on their traditional menu, as well as a Dim Sum and Hop Pot menu. Char Koon in South Glastonbury, also offers a special Chinese New Year menu starting February 13th, with dishes like flounder filet with sweet chili sauce; stir-fried beef with Chinese broccoli and Shelter Bay Seafood Platter (stir-fried shrimp, scallops, calamari and asparagus with chili paste.